We receive many interesting old titles, some of which we have professionally restored. 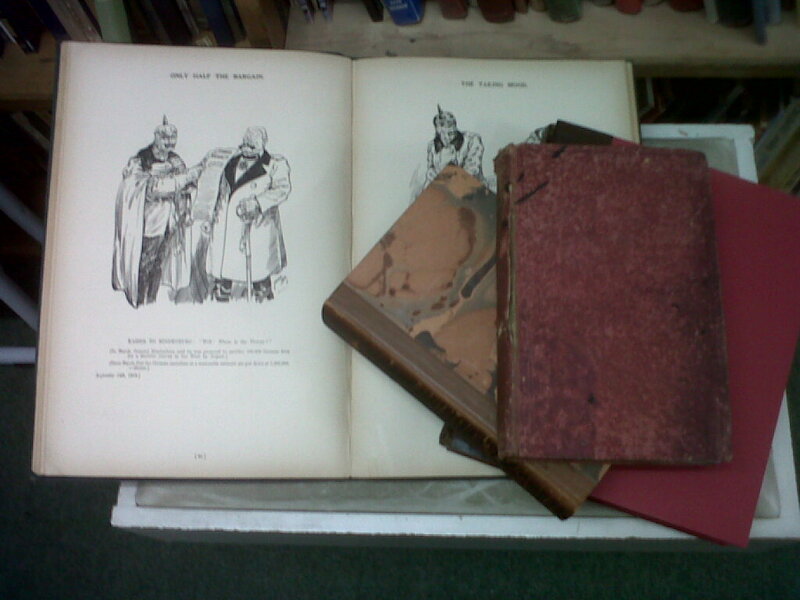 The one in the picture is a book of cartoons of World War I by Cape Town cartoonist ‘Mac’. We currently also have a very early edition of Milton’s Paradise Lost (c. 1735).